The Bund Deutscher Mädel, which was also known by its abbreviation of BDM, was the female branch of the overall German youth movement in the Third Reich, the Hitler Youth. Membership in the Hitler Youth was open to all German girls and boys who were at least ten years old or older. Membership requirements were simple: prospective members had to be Germans who were of no more than one-eight Jewish heritage, and had to be physically and mentally sound. Once a girl reached 18 years of age she was expected to join the national labor service, the Reichsarbeitsdienst, but she was allowed to remain a member in the BDM until she either got married, had children, or decided to quit the BDM and go on to other pursuits. The majority of BDM leaders on the regional and national level, as well as the BDM's medical staff consisted of ladies with university degrees and job training who were in their late twenties or thirties. In 1936, membership in the Hitler Youth officially became compulsory under the Hitler Youth Law. However, this was often not enforced until after the outbreak of the war because the voluntary membership already included most eligible girls in Germany. 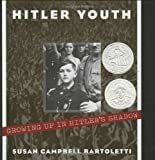 The Hitler Youth Law mainly served to originally recognize the Hitler Youth as part of the German regime, which opened up the possibilities of monetary contributions from the government, without which a lot of the Hitler Youth's activities and programs might not have been possible. Besides preparing the young women in the Bund Deutscher Mädel for what were meant to be their future tasks in the community, the BDM also offered a wide variety of other activities that were attractive to potential members and that were very similar to what is offered by youth organizations today. BDM members were able to get reduced rates at movie theaters, go on field trips, and attend camps that lasted anywhere from one day to several weeks. They were also able to compete at local, state-wide, and national sports festivals, and attend youth festivals with international participants. The BDM placed big importance on the girls' educations and expected that they would finish school and learn a trade, which was something that was often unheard of for women at that time, many of which worked as untrained helpers or secretaries. Many of the ladies who became regional and national leaders of the BDM were successful women who held degrees and doctorates, and served as a positive example to the girls they led. BDM leaders were always supposed to set a good example, and as such were discouraged from smoking or drinking in public. It was only until shortly before the outbreak of the war, that the BDM began including programs that were geared more toward the "traditional" roles of the women. The Glaube und Schönheit, or Belief and Beauty Society, was founded in 1939 and many of its courses were geared toward house-holding and child care, and "feminine" sports such as eurythmic dancing. It comes as no surprise that even in the early days of the Nationalsozialistische Deutsche Arbeiterpartei, the NSDAP or Nazi Party, which was originally founded in 1920, youth groups played an integral role was well. Although none of these groups were centrally organized within the Nazi party at first and started out with only a few members, they quickly gained popularity and their numbers grew. The girls' groups still remained widely overlooked and it wasn't until 1930 that the actual Bund Deutscher Mädel was officially founded. Although the group was now official, membership was still much lower than in its male counterpart, and the BDM would never be able to reach quite the same numbers that the Hitler Youth had. By the end of 1932, directly before Hitler's takeover, the BDM was only about 25,000 members strong. The head of the BDM was the BDM Reichsreferentin, who reported to Baldur von Schirach, but who was in charge of the BDM without having to wait for "male" approval for their decisions. According to Jutta Rudiger, who held the rank of Reichsreferentin from November 1937 through the end of the war in 1945, both Baldur von Schirach and his late-war successor Artur Axmann, let the BDM leaders run their own organization and only offered advice and an open door if there ever were any concerns or problems. Sports – Physical training didn't play as important a role as it did in the male Hitler Youth, but it was still an important part of their work. Each BDM group held one weekly sports afternoon that was instructed by older BDM girls, and sometimes Hitler Youth leaders. Sports generally included track and field events as well as gymnastics. Some regions also offered fencing, ice skating, or rowing clubs. Organized trips– At a time where few people traveled on their vacation, organized trips and summer camps were an exciting opportunity for the girls of the BDM. Trips were organized to local events and sights, as well as to national, and even some international events. Other times, foreign youth groups visited BDM girls at home in Germany, which was a great opportunity for youth from many different countries to get to know each other. Charity work – Similar to girl scouts today, BDM girls back then also helped with charitable work, such as collecting work for the Winterhilfswerk which supported poorer families by providing them with heating coal and warm clothing during the colder winter months, or collecting old clothing or old newspapers for new uses. With the outbreak of World War II in fall of 1939, the Bund Deutscher Mädel found itself in a delicate position. On one hand, the Nazi party now wanted the girls to be educated more toward the traditional roles of women – to be mothers and homemakers -, but at the same time the war ironically placed women in the position of having to fill jobs formerly taken by men in both civilian life as well as in the armed forces. Women now became air raid wardens, military signals auxiliaries and stenographers, but they also served in more traditionally female wartime roles as nurses, troop supporters, or stayed home with the children. For the BDM, the war also necessitated some changes to their schedule. When local groups met now they often spent time sending letters and postcards to soldiers at the front; knitting scarves, wool socks, or ear warmers for the troops; or making care packages. Group choirs now often practiced songs that they would later perform for wounded soldiers at hospitals throughout Germany, and girls would wait for trains with soldiers to arrive to welcome them with flowers, sandwiches, or coffee. "Train station services", in particular, became an important part of the work with the BDM Gesundheitsdienst, or health service, where girls – many of whom had little more than basic first aid training – would welcome injured soldiers and refugees at the train station and make sure they were taken care of. Most of the time, they provided hot drinks, hot soup, or sandwiches; helped people find their way around the station, and helped with some nursing care if it was needed. The girls of the Gesundheitsdienst wore white nurses' aprons with the Hitler Youth diamond insignia and a kerchief-style head covering with the insignia of the Gesundheitsdienst, a runic insignia shaped similar to the letter "Y". Many of the older BDM girls also took job positions and placements that would be considered full-time jobs in addition to school, to help as nurse aides, substitute teachers, or factory workers. The BDM's own publication, Das Deutsche Mädel (The German Girl) magazine, featured ads for stenographers, and nurses once the war had started, and had articles about girls working as ticket agents on trains, or as nurses, that were meant to get them excited about "doing their part" as well. The Hitler Youth and the Bund Deutscher Mädel, together once the largest youth organization in Europe – maybe the world – found itself in ruins and disbanded at the end of the war, just like the political party they'd originated from. Littlejohn, David. The Hitler Youth. Johnson Reference Books, 1989. Rüdiger, Jutta. Ein Leben für die Jugend Der BDM – eine Richtigstellung. Wartime publications, including "Das Deutsche Mädel" magazine. Written by Chris Crawford. If you have questions or comments on this article, please contact Chris Crawford at: ccrawford@bdmhistory.com. Visit Chris Crawford's page at: www.bdmhistory.com. Pictures are courtesy of Stephan Hansen.